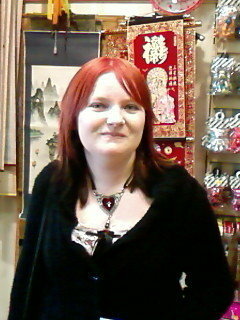 Shari Sakurai is a British author of paranormal, horror, science fiction and fantasy novels that almost always feature a LGBT protagonist and/or antagonist. She has always loved to write and it is her escape from the sometimes stressful modern life! Shari loves a challenge and has taken part and won the National Novel Writing Month challenge for ten years! All the characters depicted on this website are entirely fictional and any resemblance to any person, living or dead, is purely coincidental. Website content © 2018 Shari Sakurai. All rights reserved.